Steven Bonnay, professor at Seneca College, Canada delves into the history of early childhood education and how it has evolved. He also explores what is still implemented today and how children learn through different curriculums and methods of teaching around the world. Building on this idea, the next individual who contributed to the early beginnings of early childhood education was John Amos Comenius (1592- 1670), who strongly believed that learning for children is rooted in sensory exploration. Comenius wrote the first children’s picture book to promote literacy. Then there was John Locke (1632- 1704), who penned famous term of “blank slate”, also known as tabula rasa, which postulated that it is how children start out and the environment fills their metaphorical “slate”. A major influencer was Friedrich Froebel (1782 – 1852), who believed that children learn through play. He designed teacher training where he emphasized the importance of observation and developing programs and activities based on the child’s skill level and readiness. 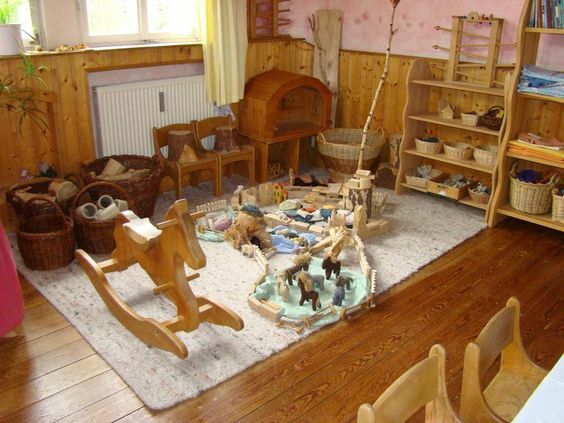 Froebel formalized the early childhood setting as well as founded the first kindergarten. Further building from this concept, Maria Montessori (1870-1952) viewed the children as a source of knowledge and the educator as a social engineer. Reviewed education as a means to enhance children’s lives meaning the learning environment is just as important as learning itself. She took the position that children’s senses should be educated first and then the children’s intellect. The Montessori Method is an internationally recognized mode of educating children. Jean Piaget (1896-1980) established a theory of learning where children’s development are broken down into a series of stages (sensory motor, preoperational, concrete operation). Piaget theorized that children learn through direct and active interaction with the environment. Lev Vygotsky (1896-1934) proposed a socio-cultural position for the development of children. He believed that social interaction provides a medium for cognitive, social and linguistic development in children. Vygotsky believed that children learn through scaffolding their skills; this meant a more capable member of the community/society would assist the child in completing tasks that were within or just above the child’s capability, which is also known as zone of proximal development. Vygotsky emphasized collaboration and the implementation of a mixed age groupings of children to support knowledge/skill acquisition. John Dewey (1859-1952) strongly believed that learning should originate from the interests of children, which is foundational to the projects approach. The educator is there to promote their interests for discovery and inquiry. Dewey saw the classroom as a place to foster social consciousness and thus the classroom should be democratically run. Rudolf Steiner (1861-1925), the creator of what is now known as the Waldorf education philosophy and schools, focused on developing free and morally responsible individuals with a high level of social competence. Steiner broke this down into three developmental stages; Preschool to age 6 (experiential education), Age 6-14 (formal education) and ages 14+ (conceptual/academic education). Erik Erikson (1902-1994) developed psychosocial stages of development for children where the parent and educator play a pivotal role in supporting the child’s success in every stage for a positive outcome. Erikson stressed that the ordinance of social emotional development is a key component to the early childhood curriculum. Loris Malaguzzi (1920-1994), the founder of the Reggio Emilia approach, based on the original childcare centre opened in the town of Reggio Emilia, was a strong believer in documenting the children’s learning and interests which the educators would base their programming around on for the following days. David Weikart (1931-2003) the founder of HighScope, which drew from the theories of Piaget, Dewey and Vygotsky, primarily focused on the child’s intellectual maturation. The landmark study that earned HighScope validity was the Perry Preschool Project in 1962. A randomized controlled study of 123 children of similar skill level entering the study, split into two groups, one receiving HighScope instruction while the control group did not receive it, but continued the traditional process. Results indicated an increase in academic success, academic adherence and an increase in wages. In general, the theorists for early education all would like to see the achievement of a common goal—to see the successful development of children in their primary years. How that goal is achieved differs in the structure of each curriculum. This method is also very unique where learning opportunities are broken down into three major components—the “plan-do-review” process to learning. Children will take a certain amount of time to plan out what they will do before acting upon it. This involves describing the materials they will use to other children they will be interacting with. When the children “do”, they execute their plan in a very purposeful way. Following the activity, they “review” or discuss with an adult and/or other children what they did and what they learned. High scope looks to assess the child based on anecdotal notes broken down by the following categories: approaches to learning, social and emotional development, physical development and health, language/literacy/communication, mathematics, creative arts, science and technology, and social studies. At parent conferences, these anecdotes are shared with the parents to demonstrate learning is happening within these different categories. 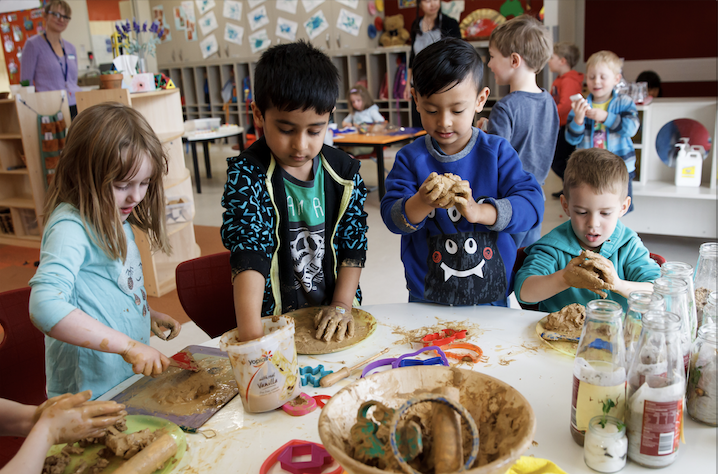 High scope centres should be accredited through the high scope governing body much the same as Montessori schools, where they can label themselves as high scope yet not truly adhere to or be recognized as accredited. 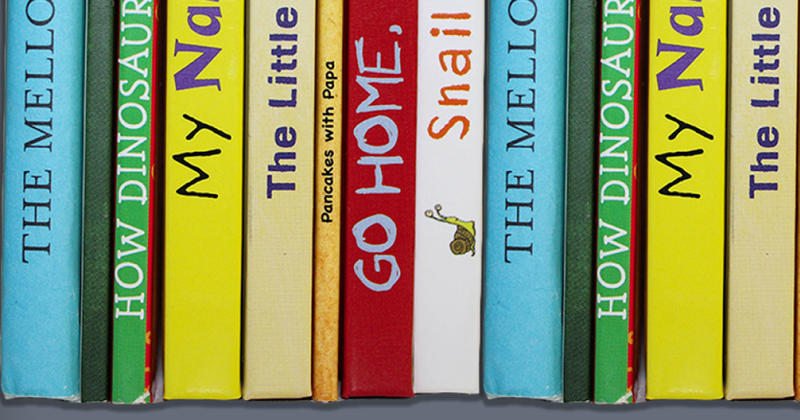 Give the variety of approaches to early childhood education, it begs the question: which one is the best? Or, more appropriately, does one method hold sway over another? The short, and perhaps frustrating, answer is: it depends. Some programs prefer a traditional approach, adhering to a pure curriculum. Montessori and Waldorf are both approaches that can be sustained well beyond the early childhood level and into high school. Imagine a curriculum built from a combination of the different methods that allows teachers to strike a balance between instructional teaching and constructive learning. Taking the thought experiment further, one could technically draw on Reggio for its community and documentation; Montessori for its independent self-directed studies; Waldorf for its integration of the arts and social consciousness and lastly; High Scope for its invaluable three-step process to ensure purposeful, planned and reflected learning processes. Ultimately, the choice of curriculum boils down to the mission of a center. Is the goal to foster community, or to bring structure and process, or to bring children back to nature, or something entirely new? These are the questions that will help curate a curriculum. I hope that this article has provided insight and inspired questions! This article was originally published on HiMama. Read the original article. A very interesting retrospective Steven. I have the privilege of teaching the history of early childhood to Australian student. I believe that the context and location have a very strong influence on how we perceive these influences. You have prompted me to consider sharing what I have researched. I’ve forwarded your comment to Steven, thanks so much for taking the time! We totally agree that context has a strong influence on how we construct our paradigms. We’ve been getting a lot of very interesting responses and feedback about non-euro-centric curricula. If you do decide to share your research, please do keep us in the loop. It’s always very inspiring to be part of the conversation! We put out articles weekly on our blog (www.himama.com/blog) and update our readers through a weekly newsletter. It would be lovely if you subscribed. Hi Steven, thank you for your post and it is always positive to see people advocating for the importance of History of Early Childhood Education. Just an additional comment that the roots of EC started long before Froebel – ancient times with Aristotle arguing for the significance of educating children from their early years. Thank you for your article which is both interesting and informative. The Montessori approach is so much more than what you have included in your article. I see in the Montessori educational approach many of the aspects you have included as specific to other ECD approaches. If you are looking for an approach that follows the developmental needs of the child, as well as one that addresses both context, time and place in order to facilitate the child reaching his/her full human potential, then Montessori Education meets all the criteria and more. I believe a pure Steiner approach is very beneficial to disadvantaged at risk children and has been the only method I found effective in working with traumatised children who were under child protection.The rhythms of the day eg. Breathing out and breathing in activities, singing in the day, music circle times and storytelling, and baking bread was very therapeutic. I truly love the notion of blending. Where I’ve learned much of this is from homeschoolers who share their experience and finds online. I’m not an advocate for homeschooling but some know well how to mine the Internet to build what it is they need. I wonder which resources the author drew on to compile his summary of the educational project of Reggio Emilia? I am sure that Reggio Children in Reggio Emilia would not support this summary. As an Executive member of the Reggio Emilia Australia Information Exchange, I would like to invite Stephen Bonnay to contact our office in Melbourne for more information. I believe Bright Horizons Family Solutions in the US and The United Kingdom are attempting this blended approach with some success in dome centers. Very very interesting and informative article.I feel though striking a balance between different approaches is hard but definitely will helps in the overall development of a child . An interesting compilation. A note on the Montessori approach, which is actually a philosophy of life: Maria Montessori herself said she never set out to develop a method. She merely used scientific methodology to prepare the environment so that children could develop optimally. This means that as soon as an educator is observing, documenting and adapting, they’re actually using the Montessori Method of education. Sadly, this is often misunderstood as so many people only focus on the materials Dr Montessori developed. Great article to prompt some critical reflection on personal practice. I think that the paragraphs on each approach were a little vague and didn’t portray the richness of complexity that each approach can bring to ECE, but in saying that, I do understand the restrictions of a ‘word count’ all too well. I think what is missing is to highlight that all those approaches have been developed in different contexts and time periods to what we experience. Just as here in Aus we all work with children in different contexts. I think there is no one approach that can fit perfectly. What we need are well trained, (and well paid!) 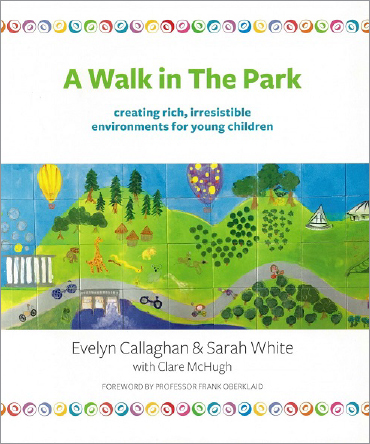 teachers who can respond directly to their children, social contexts, environment, place and time, to construct meaningful curriculum alongside the children and other professionals they work with. Understanding the history of what we do professionally is important (and hopefully it was covered in greater detail while we were studying for our teacher degrees). It allows us to understand the professional context we work within. I would be interested to learn more about non-european approaches. What about Aboriginal and Torres Strait Islander approaches? How could understanding beyond the formal European educational constructs help us develop richer and more responsive practice? You have given me a lot think about. Thank you. I prefer a blended approach based on the community of learners in your care. A great summary / timeline – thank you!